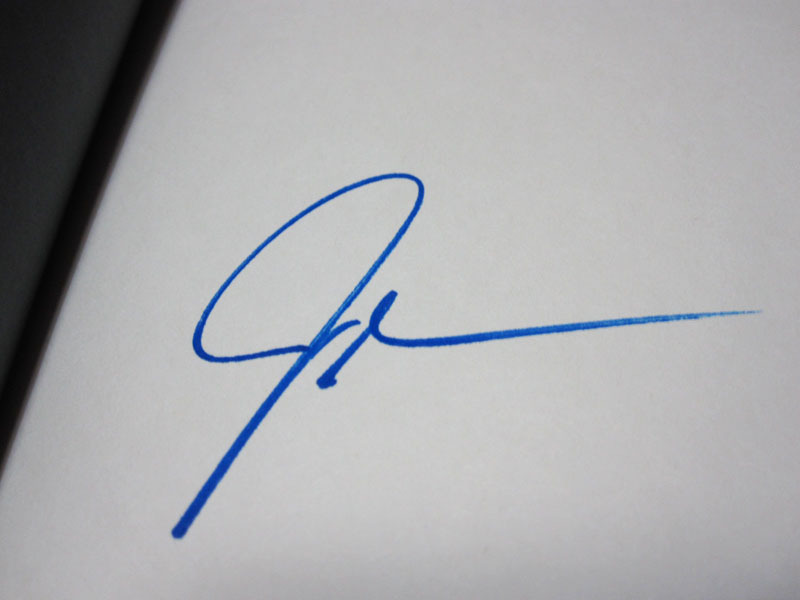 I was so excited to grab a copy of The Fault in Our Stars by John Green because I knew that he signed all of the first print editions. Also, I felt that so many readers all over the world were getting copies once it was released and I wanted to be part of that community of YA readers. When I saw a copy in a local bookstore, I grabbed it and read it as soon as I could. I have to admit that I haven’t read all of his books, even though I already have copies of them, but I promise I’ll get to them sooner or later. I think Hazel Grace is a quiet sort of person, which is why Augustus’ bright and vibrant personality stood out more for me. In any case, that didn’t keep me from really enjoying the book. I love how the friendship developed between Hazel and Augustus and eventually blossomed into something more. It’s a slow burn relationship between two intelligent characters who bonded over their favorite books, how can I not root for that kind of relationship? And it’s the real deal between these two, even their parents could see that. Which brings me to another aspect of the novel that I liked – the supportive parents. We don’t get enough of those in YA nowadays. It has taken me a while to come up with this review and I’ve seen mixed responses from other readers – some truly loved it while others had problems with it. I’m okay with that, I’m just glad The Fault in Our Stars worked for me. It was the first contemporary YA novel that I finished in 2012 so all the other contemporary YA books that I’ll read within the year have big shoes to feel. John Green’s latest is a beautiful book. Read it if it’s something that you think you’ll enjoy and tell me what you think when you’re done. Okay? Okay. I haven’t read a JG book before, but after all the raves, I’m definitely reading this one. But it will have to wait until I’m in the mood for a good cry, I think! I’m glad you ended up liking the book and that you got yourself a signed copy. So cool! I can’t wait to read this one. And even better, I think my sister will like it too. We rarely share books. It’s always nice to share books with family and friends. I hope you and your sister enjoy reading this! Tin, I hope you get to read The Fault in Our Stars. There really are a lot of quotable lines in this one. I chose something that was said early in the book to avoid spoilers. Paper Towns will probably be my next John Green read, I’ve heard such good things about that book. I haven’t read John Green yet, but I am expecting big things from this one! I have it out from the library at the moment. Marg, I hope the book meets your expectations! 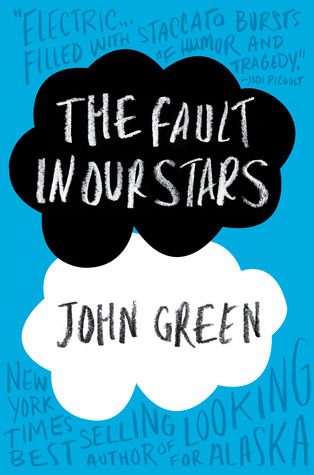 The Fault in Our Stars is the first John Green book I’ve read. It didn’t exactly reach my expectations, maybe because I can’t very much relate to the characters. But overall, I enjoyed it. The book certainly has depth in it which makes you really ponder its philosophical and metaphorical meanings. Rhin, sorry to hear this one didn’t meet your expectations. I understand where you’re coming from though, I usually don’t end up liking a book when I can’t connect with the characters too. That’s a good point about their parents. I liked that aspect of the novel too. It is so refreshing when good supportive parents show up in YA literature. We need more awesome parents in YA. I liked that Hazel thought of her mom as her best friend and Augustus also got along with his parents. I’m not sure if John Green could’ve pulled off unsupportive parents of cancer kids, so I’m glad he wrote them the way he did. I’m glad you liked this, especially with your personal experience with cancer. I loved both Hazel and Augustus. Definitely the real deal there. Holly, you have a point. It would have sucked if the parents in this book weren’t supportive of their kids. I think that aspect is great because I’ve always been close to my own parents. I’ve never read Green’s writing but my wife has been a long time fan–so much so that she pre-ordered a signed edition through Amazon months before the book even came out. I know I ought to give him a chance–especially considering the impact the above passage had on me–but every time I finish whatever I’m reading I find a new spec-fic book that grabs my interest. Oh, well. I guess I’m just destined to read nothing but geeky space stories. All the same, thanks for the review. I wanted to pre-order the book as well but I would have had to wait several weeks for Book Depository to ship the book so I decided to risk waiting for it to show up in local bookstores. Glad I was able to grab a copy. 🙂 Oh I know what you mean, it feels like you’re never in the right mood for this book, right? I’ve experienced that from time to time but I usually like switching back from fantasy to contemporary to cleanse the reading palate. At least your wife already has a copy, you can read it anytime. Beautiful review, Chachic! I enjoyed this book a lot, even though I was just a bit uncomfortable with the dialogues… they seemed very unrealistic at times. But please read Looking for Alaska next! I liked that one even more. Maja, I do agree with you. Both Hazel and Augustus seemed too mature for their age at times. I’ve seen other reviewers mention that they kept hearing John Green instead of the characters. I noticed that as well, which is why I ended up giving this 4 instead of 5 stars in Goodreads. I had to start my comment with shouty caps because TFioS inspires that in me. I’m so glad you enjoyed TFioS! And yeah I’m abbrieviating it because I feel a bit lazy. Yes, it does deserves all caps. I’m glad you loved this one too, April. I’ve seen mixed reviews all over Goodreads and the blogosphere so it makes me happy that TFioS worked for me. I super like the snippet. While reading it, I cannot imagine Earth without life. Hope you enjoy reading the book! Hello, what nbs branches have signed copies? Thank you! Hi, only the first editions were signed and I believe they’ve run out of copies of those. Hi Mars, I can’t remember in what branch I got my copy but you can inquire at their customer service to check what branches still has copies of this.